We asked prominent chefs working today to tell us what they would share with this unborn chef. This is Chef Blake Hartwick’s “Letter to an Unborn Chef”. Blake Hartwick brings a new take on Southern Cuisine and a love of fresh local flavors to Bonterra. 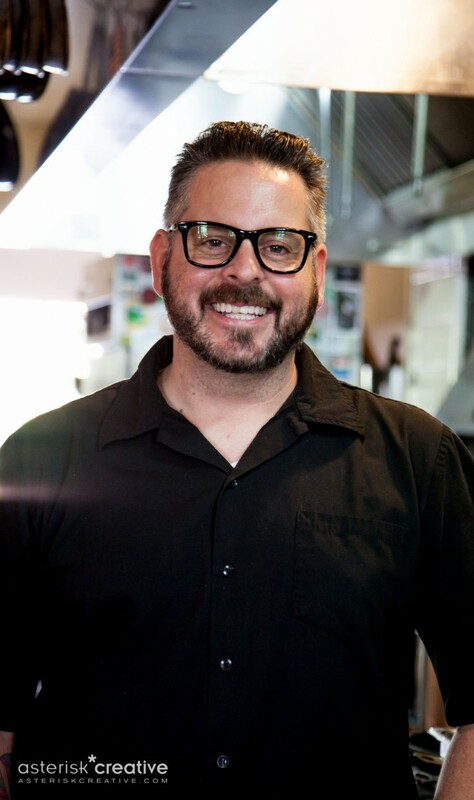 Blake has an extensive culinary background that includes several restaurants in Charlotte since moving there in 1993. He was with Bistro 100, Carpe Diem and Sonoma, where he served as their sous chef. In 2000 he joined Bonterra as executive chef. In 2005 John Duncan opened Ratcliffe on the Green where Blake served as their executive chef. Blake also has a few highlights along the way. He spent time in Spain between 2004 and 2006 working at the prestigious Casino de Madrid and NoDo. He also served as the Chef de Cuisine at the world renowned Four Star, Four Diamond Greenbrier Resort. In 2012, he and a team of chefs traveled to the James Beard House featuring a “Taste of Charlotte” menu. Chef Hartwick has represented the Panthers at the Taste of the NFL for the last several years and recently hosted a James Beard Celebrity Chef Tour dinner at Bonterra. Episode | Podcast Potluck, Volume 1: Winter 2016 Preview! Episode | Nico Romo's "Letter to an Unborn Chef"